02 FebCan Sports Teach Life Skills? Sure, sports are a fun way to let off some steam, get plenty of exercise, and enjoy a friendly rivalry or two. But did you know that sports teach life skills that you’ll use for the rest of your life? Every parent who comes to Erika Westhoff Performance understands just how important it is for their young athletes to learn these skills. 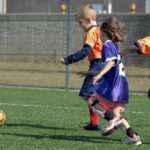 There are several mental and emotional components of sport that kids can learn while playing the game they love the most, which will develop into valuable life skills they’ll carry on into their future professional lives. When playing a sport like soccer, you face challenges every day. 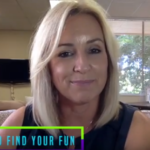 These challenges force you to experience frustration in tough situations, but they also teach you how to push through in order to achieve your goal. The same is true in your future career. You’ll need to know how to face challenges, improve upon yourself, and get the work that needs to be done, done. As an athlete, you know what it means to “get into your head.” By clouding your thoughts with negativity and self-doubt, you lose the ability to be productive – in sport and in life. Playing a sport is an excellent way to learn how getting into your head simply doesn’t work if you want to be successful. Because you want to win and don’t want to let your team down, you learn how to have a quiet mind and quiet emotions, focus on the task at hand, and find out just how great things can be when we’re at our best. Speaking of staying focus, sports like soccer are ideal for learning how to keep your head in the game. Whether you’re struggling with getting off track during practice, performing well in a match, or if you’re dealing with a team that just can’t seem to get the job done, you have to figure out how to deal with the stressors and focus on the end goal. This applies to your professional life as well. You can’t control everything that happens at work, whether it’s an off-day for you or for your entire team of colleagues. What matters is that you remain focused and get yourself back on track. As you get better and better at your sport, you learn how to control your thoughts and emotions no matter what the situation may be. You keep your composure in front of the goal, maintain your relationships with teammates, and learn how to master a skill or perform at-speed during a game. This ends up being a huge confidence booster, as you see just what you’re capable of when you are mentally tough, manage your thoughts and emotions, stay focused, and remain calm. Not only are you staying at the top of your game as you compete in your sport, but you’re also building a solid foundation for your future professional life. Keep working hard at mastering your sport. You’ll find out soon enough that you learned so much more than you expected, and are ready to take on life’s challenges! Click here for more advice on how to benefit from the skills you learn as an athlete.